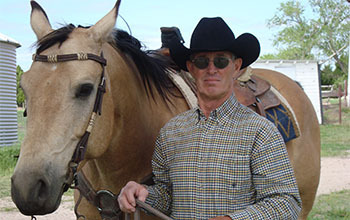 Dr. Tom Noffsinger, will conduct a low stress cattle handling workshop at the Brookhaven Cattlemen's College. 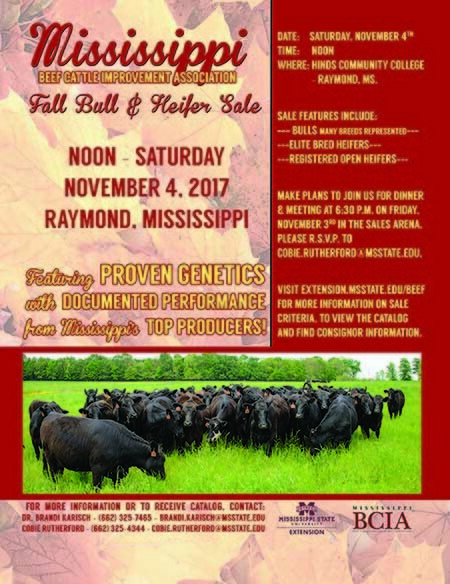 Hope and the Livestock and Forestry Research Station near Batesville with emphasis on the management and nutrition of grazing beef cattle and complementary forage systems. 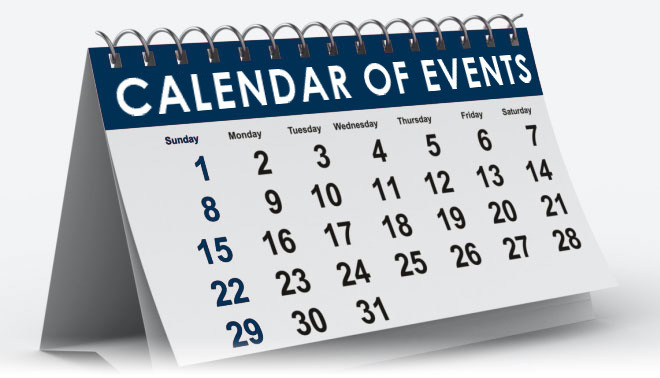 Register now to attend one of two Cattlemen's Colleges that MCA will be hosting. 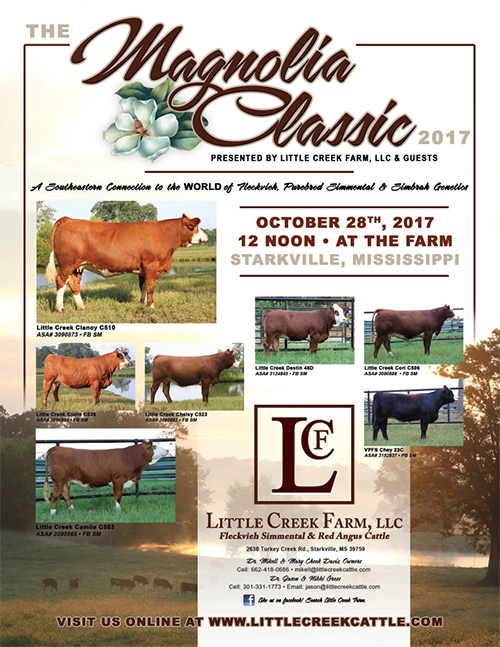 The first College will be held in Brookhaven on October 26th and the following day at Batesville in conjunction with the North MS Beef Expo. The programs are free to the public. 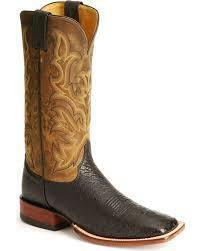 Both programs will offer workshops on marketing, forages, animal health, and much more. You can now pre-register for Cattlemen's College on the MCA website. Feeder prices were steady to lower last week in Mississippi. The heavy feeder heifers class returned to more normal levels after thin sales the previous week. 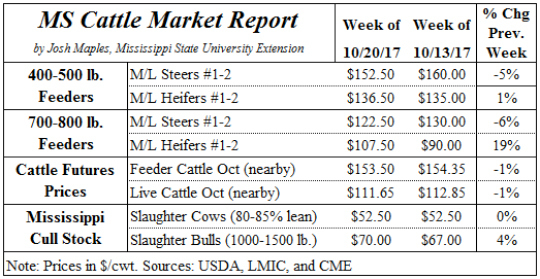 Futures prices were mostly unchanged at week's end - although futures prices will likely decrease some early this week as a response to the cattle on feed report that came out on Friday afternoon. This report showed a larger placements increase than average expectations. 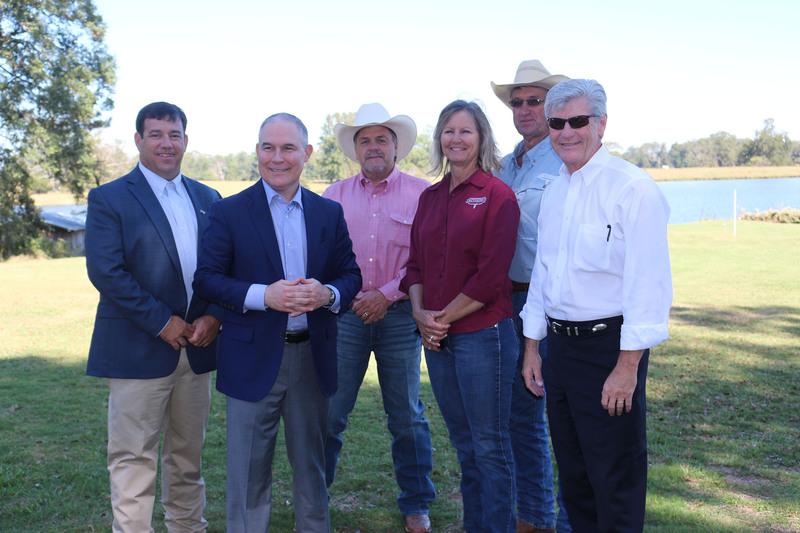 The Mississippi Cattlemen's Association along with other agriculture groups were invited, on October 12, to meet with the Administrator of the United States Environmental Protection Agency, Scott Pruitt. The daylong event began at the Governor's Mansion, where Administrator Pruitt and Governor Phil Bryant, held discussions on the Waters of the United States (WOTUS) rule that was proposed by the former administration. The Trump administration has voiced their intention to withdraw the current rule that is presently stayed due to a Federal Court ruling. Administrator Pruitt then traveled to Gaddis Farms in Bolton, MS where he met with cattlemen and farmers. The USDA along with the National Agricultural Statistics Service (NASS) will launch NHAMS (National Animal Health Monitoring System), the beef cow-calf operations study that will take and in-depth look at beef cow-calf operations and provide valuable information regarding trends. Your NASDA enumerator will contact you in October to talk with you about this survey. This will be the fourth NAHMS cow-calf study of the beef industry. The study will involve producers in 20+ States representing more than 70 percent of beef cows and beef cow operations in the United States. The study will involve interviews with producers to ask about health and management of their cattle. The data from the study will be reported in summary form; individual responses will be confidential. Don't forget the 2017 Membership Drive is underway! We have several exciting new prizes this year for not only winning recruiters but also new members. There will be 4 prizes for the members that recruit the most new members. For more information contact Donna at the MCA office. 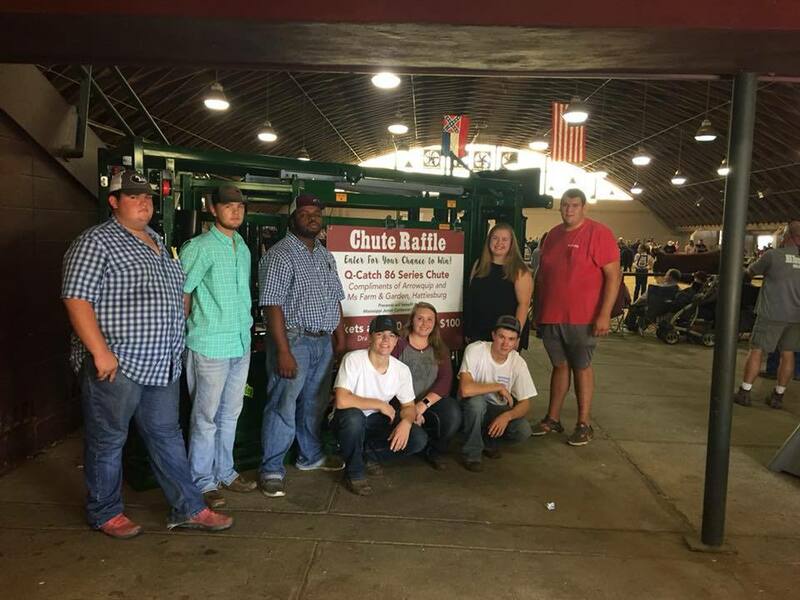 Make plans to attend the 2017 Mississippi Beef Expo to be held December 1-3 at the Mississippi State Fairgrounds in Jackson, Mississippi. There will also be a trade show in conjunction with the Expo. 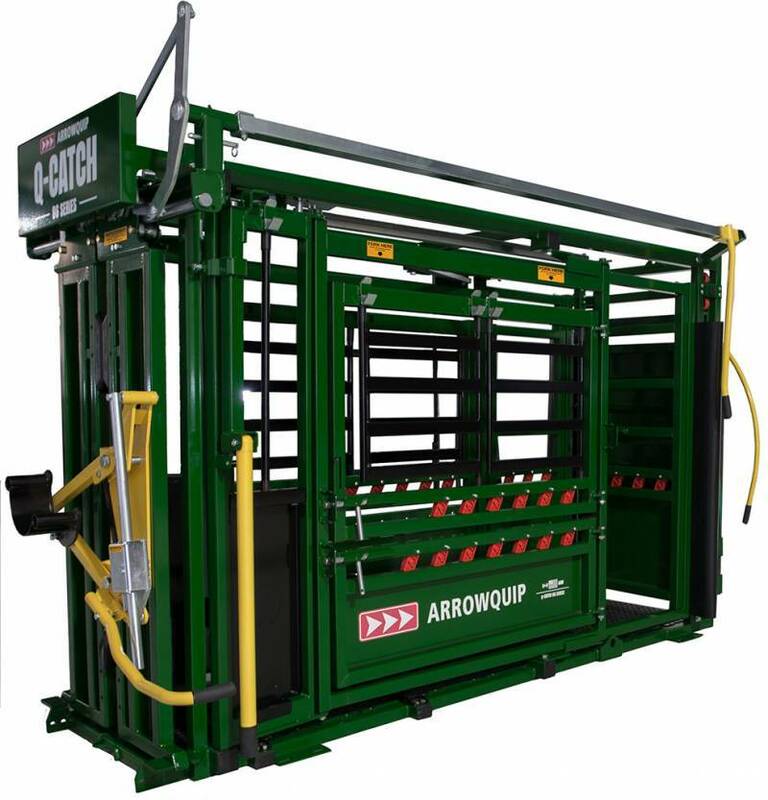 MJCA is selling chances on a Arrowquip 86 series chute compliments of Arrowquip and MS Farm & Garden of Hattiesburg. We will have tickets for sale till the MCA Convention in February. The money raised will help fund MJCA programs such as Making Tracks. If you are interested in purchasing a ticket you can call the MCA office or visit with a MJCA director. If your county would like to help MJCA by selling tickets at your next county meeting please let us know so that we can send tickets to your county president. Hassle-free, delicious beef stew. 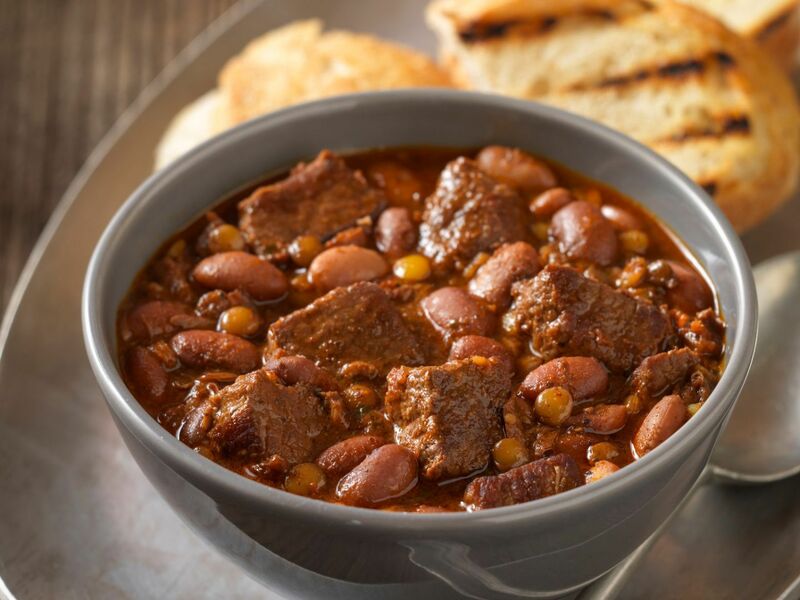 Soak dried beans overnight, spend a few minutes mixing ingredients in the morning, and come home to a hearty meal in the evening.